Changing an organization’s culture is one of the most complex challenges that a business leader will ever face. But there are times when a cultural shift is essential for a business to survive and grow. 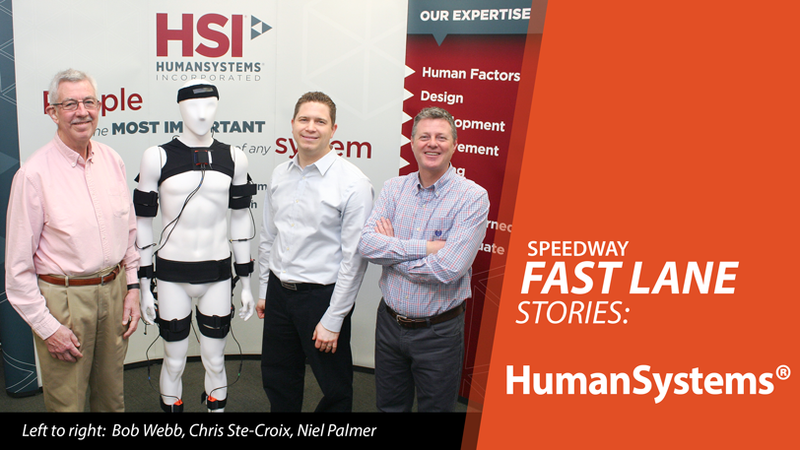 That’s precisely the challenge facing HumanSystems® (HSI®), a Guelph-based consulting and applied research company focused on improving the performance and well-being of people in complex systems. Founded in 1982 by Bob Webb, a former British Army engineer officer and University of Guelph professor, the company has a well-established reputation for developing innovative solutions to complex problems involving people, performance and technology, particularly in the defence sector. However, over time the company’s concentration on defence work made it vulnerable. To help figure out how to make that happen, HSI® turned to Innovation Guelph. Starting with workshops at IG on topics such as storytelling and marketing communications, HSI® also enrolled in the Fast Lane program that provides diagnostic and tune-up services to help established companies identify problems and overcome barriers to growth. With 15 to 18 staff and a network of research associates, HSI® handles 30 to 50 projects a year: analyzing, defining and understanding complex issues; collaborating with other technical specialists to solve organizational and technical challenges with human users in mind; testing and evaluating equipment from the user’s perspective; developing and evaluating custom e-learning and training programs. The guiding principle in all their work is that people are the most important part of any system. Working with IG mentors Steve Barrett and Niel Palmer, the company has begun the process of shifting from a highly technical mindset, well-attuned to navigating the complexities of government contracting, to a proactive, profit-oriented approach needed to serve a more diversified client base. But change doesn’t come easy, and Palmer praises the HSI® team for being open to the possibilities. To help HSI® plot a new course, Barrett and Palmer recommended a 90-day “strategic sprint” designed to break up a long, complex change process into focused, achievable goals. The first sprint involved taking a critical look at areas such as: defining the ideal client; value propositions; communications and marketing practices; sales and billing processes, human resources and more. “The 90-day sprint allows you to focus on the items that you need to focus on now,” says Palmer. “The sprints help keep everybody on the same page and minimize distractions caused by other longer-term projects or priorities,” he adds. Key issues are tackled at weekly “Tiger Team” meetings — an approach that emphasizes frank discussions, intense focus, out-of-the-box thinking, and short timelines. “With this company, it’s not just about identifying particular problems — it’s about a cultural shift. The cultural shift needs to gain traction internally in order for the company to become efficient at identifying and exploiting new opportunities. That’s why these 90-day sprints are so important. You’ve got to keep your eye on the ball, focus on the target, get some things done, and move on,” Palmer explains. The Tiger Team group has made considerable progress and recently began their third 90-day sprint. The team is adapting a LEAN management approach to streamline their business processes, improve productivity and focus on client needs. They are also working to better align the goals and expectations of the technical/field staff with the business/administration side of the organization and establishing a dedicated professional services marketing team. “The value or return on investment (ROI) of the company’s expertise in promoting performance, safety and efficiency in defence systems is transferable to other systems. While this transfer of knowledge is most readily recognized by other high risk sectors such as utilities, and emergency services where human performance is critical to avoid catastrophic failure, it is also relevant anywhere people work, live or play. Our great challenge in expanding to broader markets is to explain this potential ROI in terms that resonate with managers in other sectors,” says Ste-Croix.